With the summer holidays in full effect it’s definitely time to hit the beach! We’re lucky that we live close to a several gorgeous beaches but even when we travel we tend to go hunting for a beach to play on too! 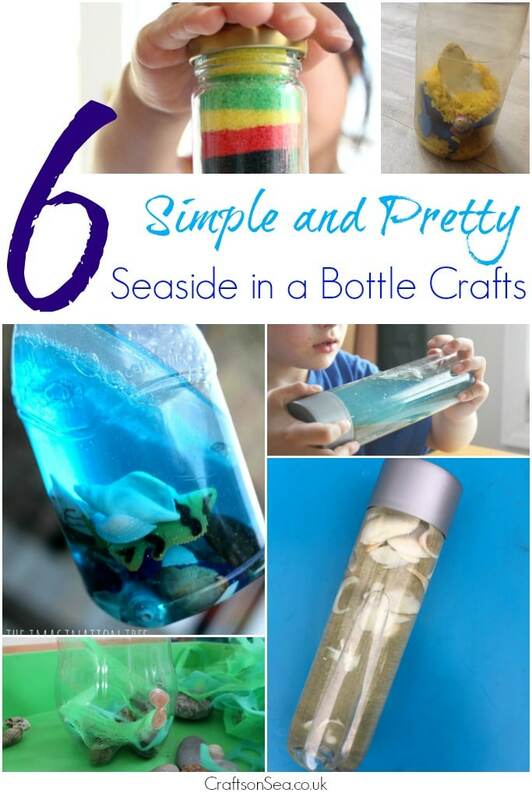 When you’re back at home I think it’s nice to do some sea crafts for kids to help remember the good times you had and these seaside in a bottle crafts do the job perfectly. Whether you’re looking for sensory bottles, discovery bottles or just something pretty to remember your day out these gorgeous crafts should do the job perfectly! My son and I made this seaside sensory bottle for my daughter to play with when she was little and it was a huge hit! This sea discovery bottle from The Imagination Tree is super pretty and I love the fish and crabs in it! I love the way Little Bins for Little Hand’s bottle mixes the ocean and beach and then separates them again. This ocean sensory bottle from The Pleasantest Thing is full of sand and looks gorgeous!